With the GOLiFE Care smart fit band you can monitor fitness, positive sleeping habits as well as stay on top of calls and messages. 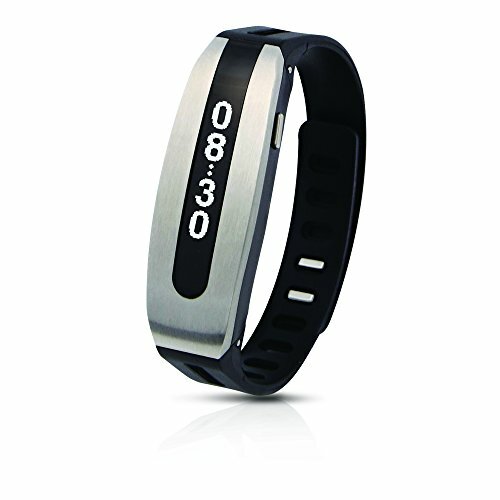 The Care smart band is exquisitely designed with a thinly made comfortable silicone band with a brushed metal face. Displaying a keen fashion sense this smart fit band will actively describe to you sleeping patterns, steps walked throughout the day, calories burned, as well as vibrating alerts when you have an incoming call. The first smart fit band to ensure that you maintain personal fitness and receive all calls. As life evolves our goals are constantly changing. Learn what it will take for you reach those pivotal life goals. Smart fitness band with modern brushed metal face, tracks work out statistics including steps, distance, calories burned and sleep patterns. Displays time, steps, distance, calories, call notification, smart notification (message) on advanced OLED display. Navigate pages with one touch. Syncs with one touch to the GOLiFE Fit APP via Bluetooth technology. Review the statistics and Diagrams from Your iOS or Android Smart Device or your PC. Equipped with Ant+ Technology, It can be paired with your favorite ANT+ heart rate monitors Including GoHeart 100 H.R.M.